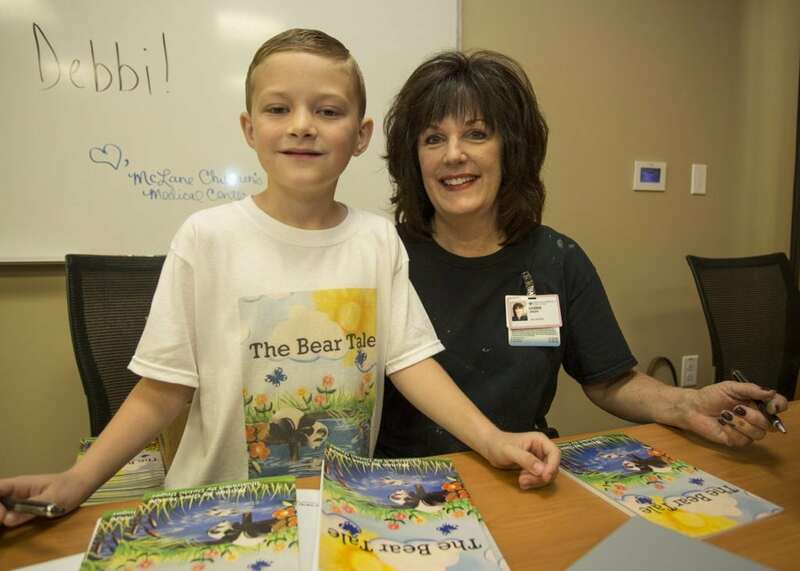 Case Hodge, age 8, made a special appearance at McLane Children’s Medical Center with his Illustrator Debbie Unger to present all children in the hospital with a free signed copy of his book. For a young philanthropist he is already making quite the difference! Case sold raffle tickets throughout the month for a chance to win the original cover art for his book, all proceeds from this effort and a portion of proceeds from his book sales went to helping children in the hospital. Case donated a total of $2,280.00! We are so proud of Case. What a huge way to love other people at such a young age. WAY TO GO CASE! It was a wonderful day with friends ,family and all the wonderful people at McLane ‘s Childrens Hospital. It is so great seeing such a young person making a difference. Previous post: Panda Express feeds 88 Dance Marathon programs!